More and more Leah and I make specialty pizzas. As much as I love traditional pizza, it’s a lot of fun to chop up different vegetables and toppings and switch up the cheeses. We had been wanting to make a barbecue chicken pizza for ages, and Sally’s Baking Addiction posted a fantastic-looking one a few weeks ago. It immediately went to the top of our to-make list, and we were not disappointed. 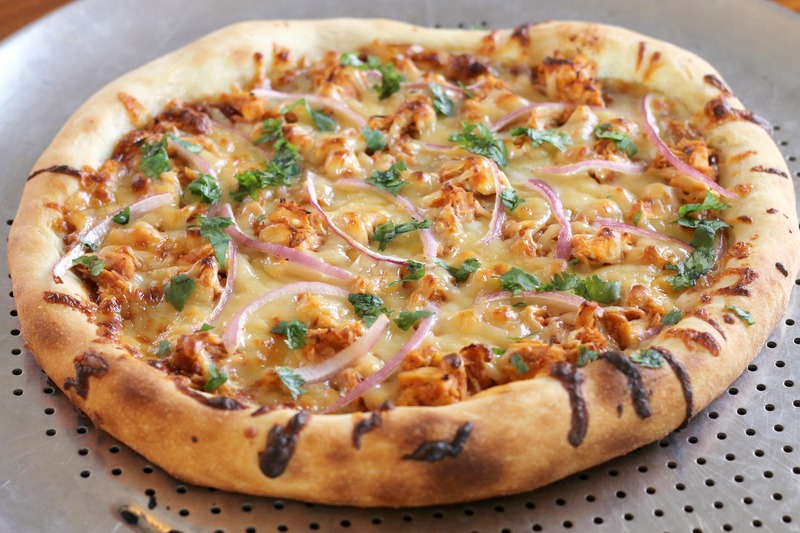 This pizza has a combination of smoked Gouda and mozzarella, chicken breast tossed in a little barbecue sauce for moisture, sliced red onion, chopped cilantro, and a layer of barbecue sauce instead of traditional tomato sauce. We used our favorite pizza crust recipe, and you can use whatever recipe is your favorite. This is a fun and delicious pizza that is appropriate for spring/summer. In fact, when our family starts grilling again, we may try grilled chicken on the pizza instead! Preheat oven with pizza stone to 500 degrees for at least 30 minutes. Press out pizza dough on a piece of parchment. 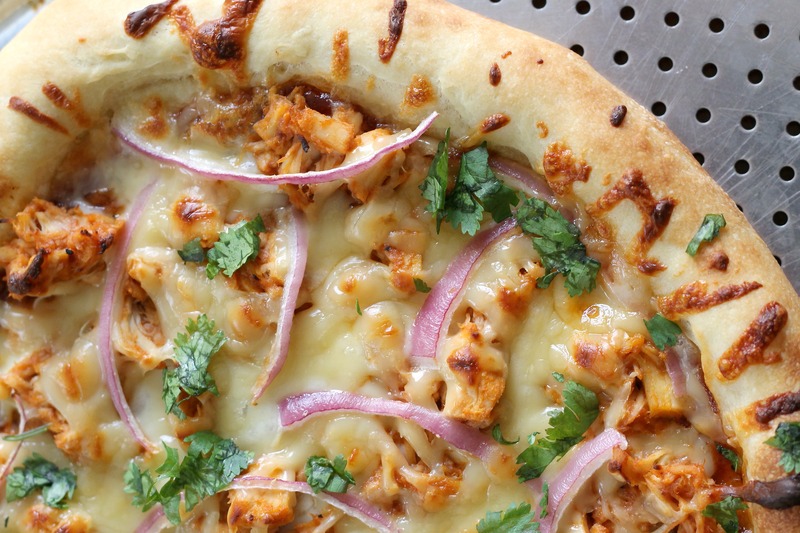 Mix chopped chicken with barbecue sauce.Top pizza crust with remaining barbecue sauce (use as much as you would like), then the mozzarella, chicken, Gouda, and sliced red onion. Bake for about 10 minutes, until the crust is browning and the cheese is melted. Remove from oven, top with cilantro, slice, and serve. Enjoy!